When it comes to preppers and homesteaders, members of the two groups can live very different lifestyles. 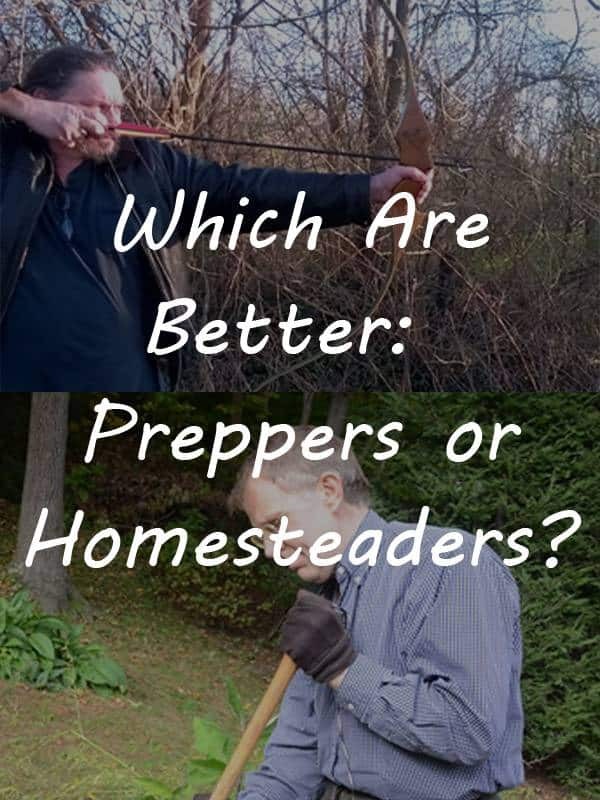 But which are better, preppers or homesteaders? And are they really that different? It’s true, the person you visualize when you hear the term “prepper” is likely very different from who you picture when you hear the term “homesteader”. If I were to say to you, my new neighbor is a “prepper” what picture do you get in your mind? Most people will likely picture a single male in his late 20’s to late 40’s wearing camouflage and loaded down with guns, knives, and ammo, right? 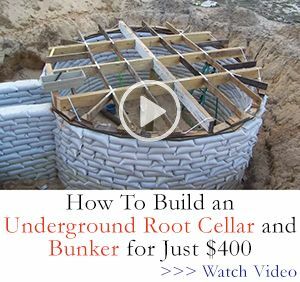 You’d expect to find his basement, or maybe even an underground bunker, piled high with MREs, water, and bulk bags of rice and beans packed away in mylar bags and food grade buckets. But if I were to tell you that my new neighbor is a homesteader, don’t you get a completely different picture? You likely picture a woman or a family with children who are homeschooled to protect them from the influence of public school. You see a family who all work together to harvest their garden and care for their livestock and who store any excess by home canning, dehydrating, or otherwise preserving the food for winter. Two totally different images come to mind just based on the term used. But if you belong to one of these groups, then you probably know right away that your group is often misrepresented in the media. In reality, when you think of prepper or homesteader, imagine the group as a number line or a scale. The image you see when someone says “Prepper” is the doomsday prepper at the extreme end of the prepping group, whereas the image you see when someone says homesteader is a family who shuns anything modern and goes completely off grid. Yes, there are some preppers and homesteaders who fit this stereotypical image, but don’t let that discourage you from digging deeper for lessons and advice that you can fit into your own lifestyle. Most preppers and homesteaders fall somewhere along the scale and have very similar goals and values and there can be a lot of crossover skills and habits between the two groups. Members of both groups are committed to the protection of their families regardless of what it takes. The lifestyle that both groups lead is motivated by their desire to protect themselves and their families, although their methods may vary greatly. 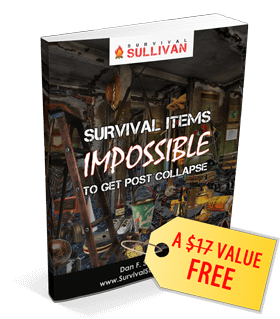 Preppers are preparing or getting ready to survive some event they believe is coming. 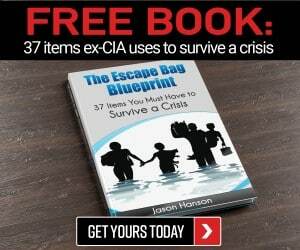 Most preppers are getting ready for some type of life altering event is looming on the horizon which will change life as we know it and threatens to wipe out anyone not prepared to withstand the initial chaos. The type of event varies depending on location, personal experience, beliefs, and knowledge. But some members of this group are content to prepare for emergencies such as being stranded on the highway in winter weather or being in the path of a natural disaster such as a hurricane, flood, wildfire, or earthquake. Still others prepare for the more common short-term events like a power outage that lasts a few days or weeks or an unexpected loss of income due to illness or injury. Many preppers are preparing for a longer-term event which they call SHTF or TEOTWAWKI. This is a more widespread catastrophic event, like an economic collapse, a long term or indefinite power outage caused by an EMP, or even nuclear war. The way they prepare can also vary depending on their values, and skill level. 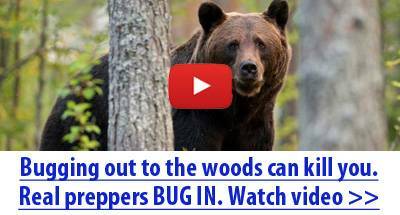 Most preppers prepare to bug in inside their homes or to bug out to an isolated and well-stocked bug out retreat. Some preppers may go so far as to strategically relocate so they can bug in at a location that is away from the urban centers, military targets, extreme weather, and nuclear power plants. Homesteaders believe that living a more traditional, simplistic lifestyle is better for their long-term health and quality of life. Most strive for a self-sustaining lifestyle on a daily basis versus “waiting” for something bad to happen that necessitates a change. The lifestyle of a homesteader can look different based on how committed they are to a purely organic diet, personal taste, location, and whether they believe in raising their own livestock for food in addition to a garden. Homesteaders must be ready to deal with a wide variety of events, but these generally revolve around their property, livestock, and family. Homesteaders prepare for a loss of income due to injury or illness, a storm that damages or wipes out crops or a illness that kills off their livestock. So, we know what’s similar about the two groups, let’s look a bit closer at difference in focus of the two groups. he serious prepper doesn’t talk about their prepping plans as a way of protecting it against those who might decide to take it. Preppers who do grow their own food focus on ways to do it that keep it hidden from those who might take it. They are focused on evading the threat they feel is coming. Out of necessity, many homesteaders are much more focused on the day to day activities needed to maintain the homestead. They focus on growing their own food, animal husbandry, and crafting skills, as a way of getting back to the life their ancestors led. They home can and preserve the food they’ve grown as a way of storing up for a lean winter and tend to gradually increase their self-sufficiency over years with an eye toward building a better future. They are focused on putting down roots and living off the land for sustainability and better health over time. So, while preppers and homesteaders may have very different skill sets and a different focus, both group value self-sufficiency and freedom from the trappings of government, although members of these two groups may vary widely on how much or how little they are willing to rely on government or other sources. In truth, members of each group can learn from each-other. Some homesteaders might benefit from a little more emphasis on security and self-defense and preparing to be mobile if it becomes necessary. Many preppers over focused on stockpiling gear and supplies could benefit from spending more time on sustainability and skills to produce what they need after a SHTF event. There are lessons to be learned on both sides. So it’s not really a matter of which are better preppers or homesteaders, but instead recognizing there are huge benefits to both lifestyles that, if adopted, can ultimately bring both groups even closer to their end goal of self-sufficiency. Prepping is something I we do, but prefer self reliant. We do make use of DIY/MRE’s & regular MRE’s to augment our systems. It is my opinion that if a person is able (physically & financially) to incorporate both into one lifestyle for survival then that person is the better of both. I am a retired professional engineer. I view preparedness as a continuum – from making it through your normal work week, through dong your own auto mechanics, plumbing, and wiring, and ultimately up to TEOTWAYKI. While I was still working, I was obviously not dedicated to living a low-tech life, nor am I now. But I DO believe in being ABLE to weather whatever comes along with minimal drama. I live in the Houston Texas area and we recently went through Hurricane Harvey. We had plenty of food and were well prepared to survive the week or so of time during which we were pretty much isolated (and we had no more control than anyone else about how high the water was going to rise before the Brazos River crested). I won’t say we didn’t worry about it, the water got up to within 40 vertical inches of my slab elevation. But the number of people who were put into seriously stressed situations by the developments, largely because of being pretty much totally unprepared was distressingly high. To me, there really isn’t any difference between learning to repair your own car and buying a “special” sword to kill zombies when they attack – except that the first one is way more likely to be needed and to return considerable value to you over a period of years. I figured out early that I can but whatever special tools might be needed and do the repair once or twice an still often come out about equal to hiring someone to do it for me. And if I do it myself, I will either know how to do it next time myself – or know that there “ain’t no way” I’ll ever do that again. Each is a half of the whole. Doing one without the other leaves you less likely to survive a catastrophic event. I’m a prepping homesteader. Have guns w/feed for them, and plenty of stuff put up, but our day to day life is raising food, cutting wood for fuel, and so on. I think there are a lot more of us ‘hybrids’ out here than you would suspect.